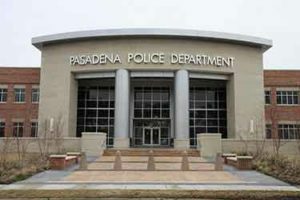 If you were recently involved in a car accident and the Pasadena Police Department was present, you have some options on how to get a copy of your Pasadena car accident report. A Pasadena car accident report is a crucial piece of evidence when it comes to filing a claim for injuries sustained in an accident. It would be in your best interest to access a copy for your records. You may receive your Pasadena accident report either in-person or online for $6. We’ll get your PPD accident report for you. Just provide the details of your accident, and we’ll track down your Pasadena accident report and email it to you. *This service is available to anyone involved in a collision that needs help getting their crash report. This service is not available to other law firms or insurance companies. Get a free, no obligation case review today. If you choose to get a copy of your accident report in-person then you need to head to the Pasadena Police Department located at 1201 Davis Pasadena, Texas 77506. Be careful, your Pasadena accident report might not be available depending on when the accident occurred so give them a call before heading all the way down there. You can reach them at (713) 477-1221. The city of Pasadena, TX partners with an online portal called LexisNexis. If you would like to request a copy of your Pasadena car accident report online you will need to visit their website here. There, you will need to provide as much information as possible when searching for your crash report. If you have a report, service, or record number that might help speed up the processing time. If a Pasadena Police Department officer was not present to investigate the car accident you will need a copy of the Driver Crash Report (Form CR-2 or “blue form”) this will serve as a copy of the accident report. Be sure to retain this report for your records. If you were involved in a Pasadena car accident recently and suffered injuries from it, you should take advantage of a free case review from our Texas Injury Lawyers to receive compensation for your injuries. Our professional team will give sound advice on getting you the most out of your car accident claim.